Watch Video Tutorial On How To Create a Bitcoin Wallet Above. Creating a bitcoin wallet can be very easy and it is not also very difficult to understand how to manage your wallet. 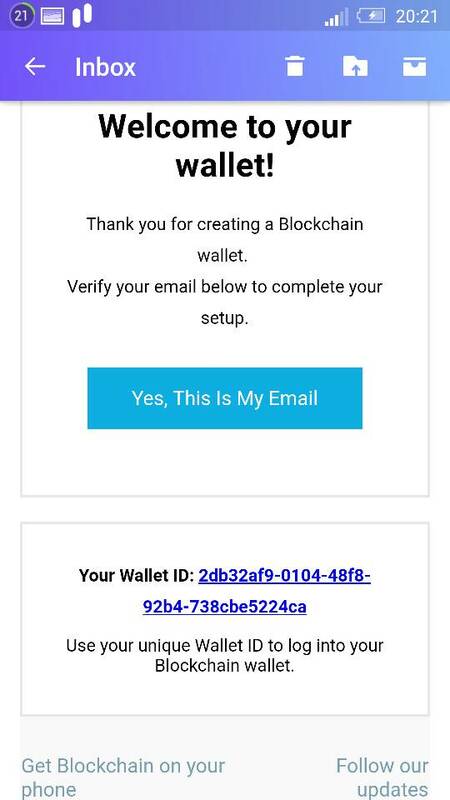 Below are the simple steps with pictures showing how you can create your bitcoin wallet with blockchain. 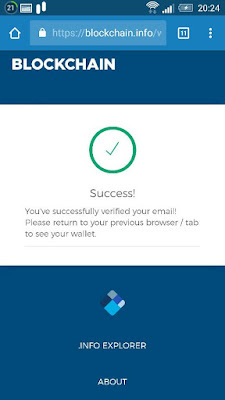 Step 2: A mail will be sent to your email from Blockchain. Log into your email and click the button with “Yes, This Is My Email”. 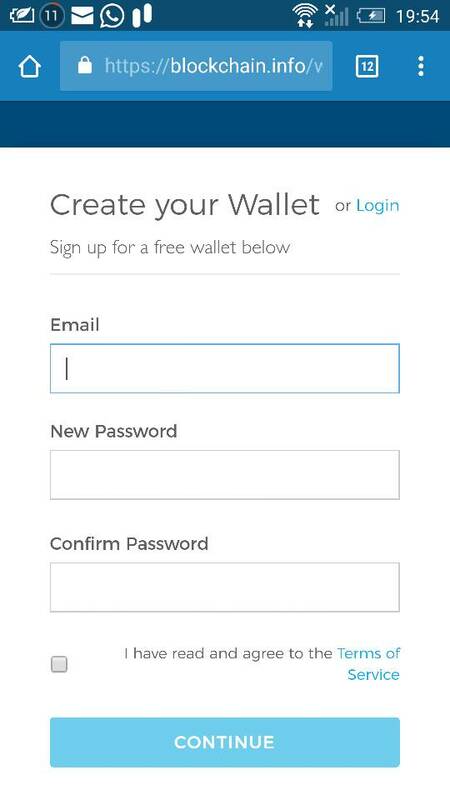 Below the button you will see your wallet ID, keep safe as this is like your username to log into your wallet. Step 3: After the step above, you should see a success message from blockchain with the caption ” You’ve successfully verified your email! please return to your previous browser/tab to see your wallet”. Now you are set to buy and keep bitcoins in your blockchain wallet. 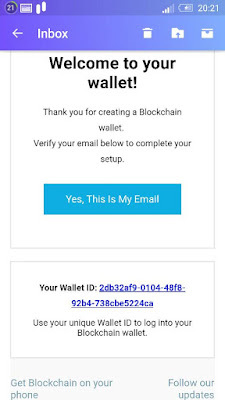 Please note that, there are lots of platforms that provide wallet for your bitcoin but the procedures in this post is strictly for Blockchain wallet. Have any questions? please leave us a comment below or visit the contact us page and send us your question directly.